With the release of Saban’s Power Rangers just around the corner, we’re taking a stroll down memory lane and look at all the Power Rangers series that came before it. 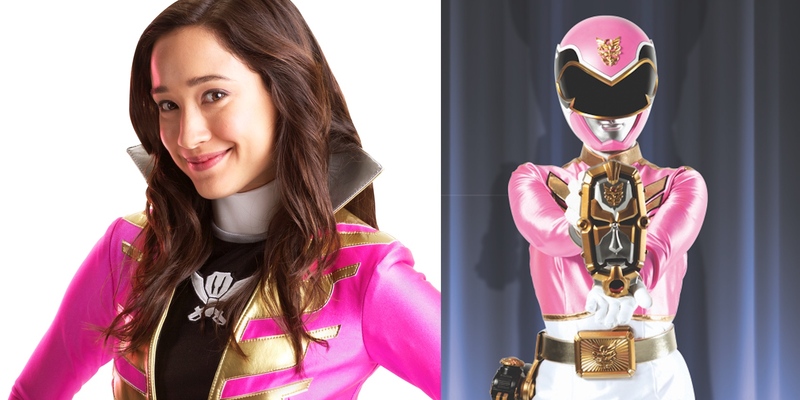 There’s no denying that one of the most popular Power Rangers, across any franchise, is the Pink Ranger. Just ask Lionsgate, who has been keeping track of which Rangers get the most shout outs on social media as they donate to the Thirst Project. The map tracking that activity has been nearly 75% Pink (Ranger) since it began. Let’s see how Every Pink Ranger in the Series, Ranked Worst to Best, shakes out. Sarah (Chrysti Ane) doesn’t make the bottom of this list because she’s a bad Pink Ranger. She makes the bottom of this list by default. As the newest Pink Ranger in Power Rangers Ninja Steel, she just doesn’t have has many episodes under her belt yet for the audience to be able to fairly compare her to the Pink Rangers that have come before her. While most of the Pink Rangers aren’t usually the brains of the operation (though you will find a few much later in the list), Sarah appears to be for the newest Ninja Steel season. She’s incredibly smart and plans on being an engineer, and even rides around on a hoverboard of her own design, which should mean she’ll add quite a bit of hardware to the Rangers’ arsenal over the course of the series. She is a bit of an adrenaline junkie though, which can make her reckless. 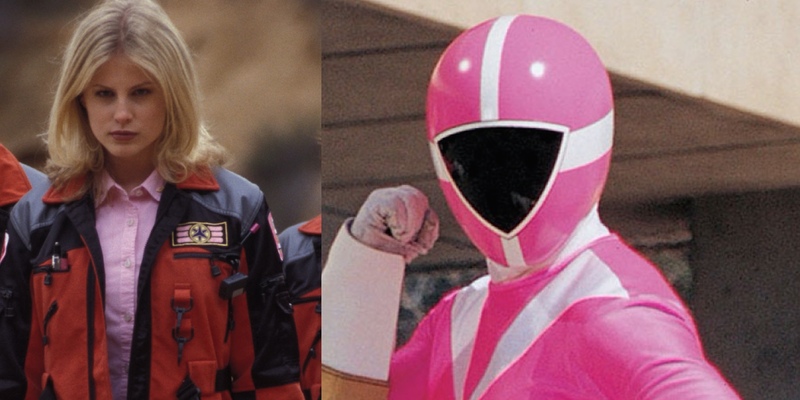 Kat (Catherine Sutherland) was only the second person to don the Pink Ranger uniform. She made her Power Rangers debut in the third season of Mighty Morphin Power Rangers as an enemy of the Rangers, though they didn’t know it. Overcoming the brainwashing of Rita Repulsa, she eventually became an ally and was given a spot on the team. Here are the best things about Kat: she’s the only Pink Ranger to serve on three different Power Rangers teams, and she’s the only person in the Power Rangers franchise to break out of brainwashing without any outside help. The downside is that Kat is actually her strongest self before she even becomes a Power Ranger. Before becoming a Ranger, she’s able to find the goodness within and save Kimberly from getting hurt. When Kimberly passes her place on the team on to Kat, though, Kat suddenly becomes the typical damsel in distress. She’s kidnapped on more than one occasion, and not a group fight scene goes by when she’s not reaching out for help or calling someone to get her out of a monster’s grasp. As a friend and a good person, she’s top notch; as a Ranger, not so much. It really is a shame because she shows so much potential before she wears the pink suit. Dana (Alison MacInnis) was actually the first in the line of Pink Rangers to not have the hard C or K at the start of her name. Her predecessors were Kimberly, Kat, Cassie, Kendrix, and Karone. This might seem like a small thing, but it marks a break in Pink Ranger tradition and a shift toward making the Pink Rangers their own people instead of variations of the same character. Though Kat and Cassie are outwardly very different from Kimberly, at their cores, they are still cut from the same mold. Vida Rocca (Angie Diaz) is one of the most hot-headed of the Pink Rangers to grace the small screen. She’s quick to jump to conclusions and run head first into a fight, where usually the Pink Rangers utilize a little more caution about what might befall them or the team. Despite being a little reckless and quick to find trouble (she even gets turned into a vampire at one point), Vida is still kind and incredibly loyal, something all Pink Rangers share. She sticks up for Chip when he’s being bullied and she’s also quick to come to her sister’s defense when others think her sister is too withdrawn. She’s a decent fighter for her team as well, but giving her an edge are the cool wings she’s able to don by shapeshifting butterfly-like appendages on her back. 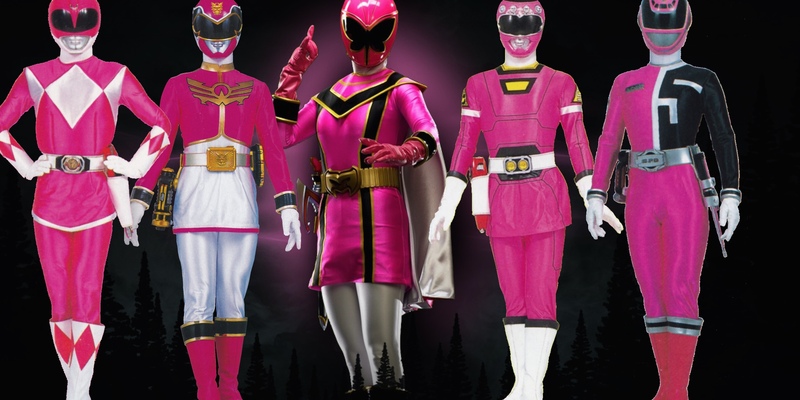 Funnily enough, before her tenure as the Pink Ranger, she hated the color pink. A first in the franchise! 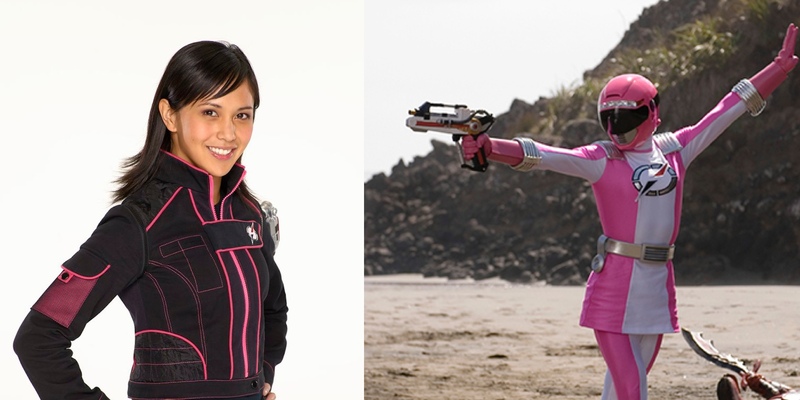 Like many of the Pink Rangers who came before her, Mia (Erika Fong) is incredibly kind hearted and optimistic. Always looking to find the bright side of things, she’s very much the heart of the team and acts as the big sister to all of her teammates. While she’s not the strongest fighter on her team, she is given the opportunity to prove herself on a few occasions. She’s the Ranger given custody of the “Beetle Disk” originally, a disk that supplies its user with additional abilities in a fight, but she gives it up to one of her teammates instead, thinking they can do a better job with it than she can. She doesn’t always give up her access to new abilities though. 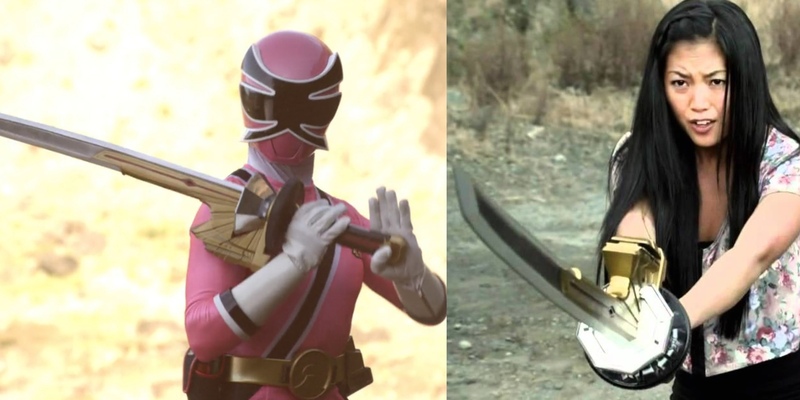 She’s the first Pink Ranger (and really, the first female Ranger) to have access to a Battlizer mode where her suit has enhanced abilities and armor in a fight. While Red Rangers and team leaders are able to access extra weapons and gear regularly from nearly the start of the series, it’s rare for a Pink Ranger to gain that ability. Shelby (Camille Hyde) could have had a cushy life if she just accepted that her father wanted her to one day take on his ice cream business. Instead, Shelby followed her own interests, getting a job waitressing at a cafe in a museum with the hopes of working her way up the museum’s ladder. Intent on proving herself on digs for dinosaur bones, she even snuck onto a dig site - though that’s where she ended up with an energem and the role as the Pink Ranger instead of working to uncover more dinosaur secrets. Shelby is a bit more rough around the edges than your typical Pink Ranger, ready to get down and dirty instead of taking a trip to the mall. She’s also particularly stubborn and not always ready to consider other points of view, which can be a liability when you’re part of a team. In the end though, she always puts the team first. Kimberly, like her successor Kat, has a penchant for getting herself kidnapped or caught in the middle of a fight. Kimberly though does take on quite a few monsters on her own, and she even has quite a few family heirlooms that are turned into monsters that she manages to defeat and get back by the end of the episode. She’s not someone who always needs to be saved, and she’s even capable of leading the team when necessary. In fact, Kimberly proves just that when she is sent back to an Angel Grove of the past in “Wild West Rangers.” Kimberly, stuck in an Angel Grove that has a saloon and horses, has to find a way to protect the ancestors of the Power Rangers from Goldar. What’s a girl to do? Make sure they can all protect themselves by going to Zordon to get the power coins. She’s smarter than the show would have you believe when they first introduce her. Like Kimberly Hart, Sydney (Alycia Purrott) is much better of a Ranger and a friend than she first appears during her stint as a Pink Ranger. Initially spoiled and selfish due to her upbringing, Sydney thinks about herself before she thinks about the team, and despite all of her SPD training, she doesn’t even know her two o’clock from her nine o’clock the first time an audience sees her in a fight. Sydney learns quickly from her mistakes though. When she’s being particularly self centered about her birthday, her Red Ranger sends her out on an assignment instead of letting her celebrate, only for her to find out later that he doesn’t even know when his birthday is. She lets him share hers, learning that she should think about other people, not just her own wants and needs. 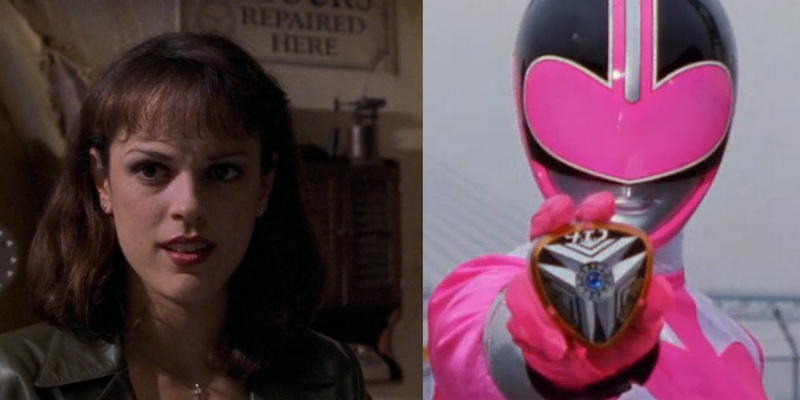 In addition to just how much she grows throughout the series though, she’s also one of the best fighters that has ever been designated a Pink Ranger. She’s also got a nifty little ability thanks to a genetic quirk she’s inherited: she can manipulate her own molecular structure to that of anything she touches. She carries an iron nugget in her uniform belt as a result so that she can pull out her “fist of iron” during particularly tough fights. While she could easily use any material within reach, she’s smart enough to keep the most effective one on her. 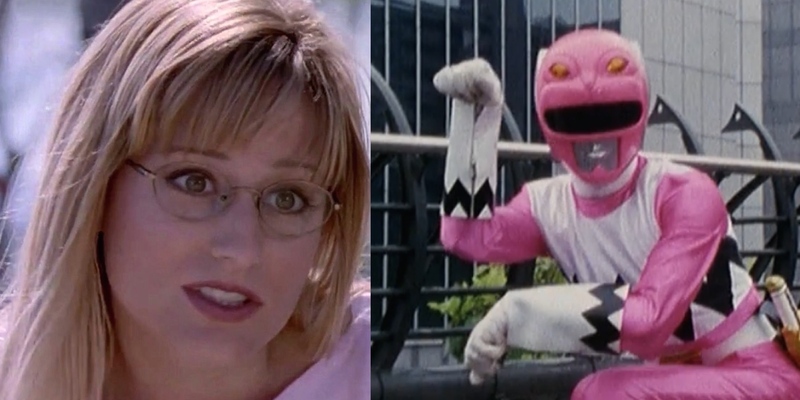 The only Pink Ranger to have lived much of her time as a villain, Karone (Melody Perkins) used to go by the name of Astronema, loyal servant of Dark Specter, someone even Rita and Zedd feared. Kidnapped as a child and raised by evil forces, Astronema spent all her time thinking the Power Rangers were responsible for the deaths of her parents before discovering that her own brother was actually a Power Ranger. It’s a little soap-opera-like, but the years of evil conditioning instead of just a few episodes make her transformation to the side of good all the more powerful. A season later, Karone appears in Lost Galaxy, out of the blue, at an auction where evil doers are trying to get the fallen Pink Ranger’s weapon. Her appearance there is never really explained other than that she heard about it and felt she had to do something. While all of this means her heart and willingness to do good is in the right place, Karone was actually a better fighter when she had Astronema’s powerful staff. She spends much of her time on the show navigating difficult waters as she adjusts to being a Ranger, even though most of the other Rangers didn’t have as long of an adjustment period as she did. 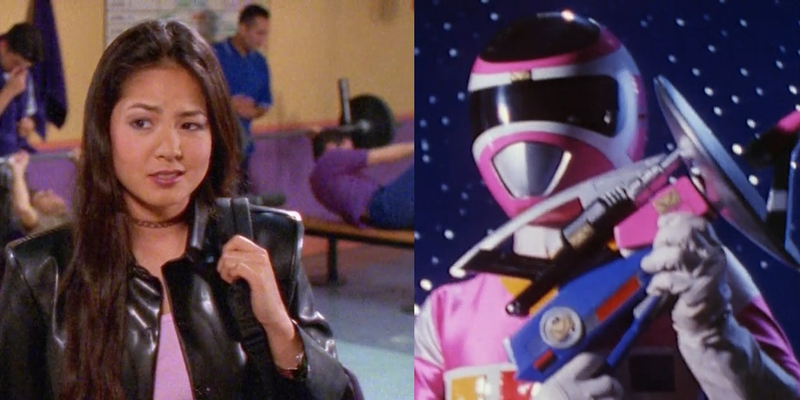 It’s probably no surprise that Emma (Christina Masterson) lands herself in the top five of Pink Rangers. After all, she’s a Megaforce Ranger, someone with access to the abilities of all the past Power Rangers at any given time. Not only can Emma access those of the Pink Rangers that came before her, but any of the Rangers, including those with more powerful skill sets than the Pink Rangers usually have. Emma, unsurprisingly, has one skill that many Pink Rangers before her have also had. Just like Kimberly, Kat, Mia, and Cassie, Emma can also sing. Unlike those four though, Emma’s singing actually gets employed to fight monsters on at least one occasion. Like those other Pink Rangers, Emma is also nearly an eternal optimist, even encouraging others to never give up on their dreams while she’s trapped in a literal dream world. She’s also compassionate and kind, just like the other Pink Rangers who have come before her, even going out of her way to make sure a malfunctioning robot gets saved, just like she would a human in danger. Completely unprepared to be a Power Ranger, the Rangers aren’t even on Kendrix’s (Valerie Vernon) radar when she jumps through a wormhole to a distant planet, though by this point, the Power Ranger teams are legendary. She’s on a space colony trying to find a habitable planet for humanity when someone runs through a wormhole, looking for help to save her people. Kendrix and her friends end up pulling special swords from stones that make them a new version of the Power Rangers. Kendrix shows immense bravery and skill before she ever ends up in the Pink Ranger suit. A science officer on the Terra Venture, she’s logical and thinks plans through. She’s ready to follow the leader when necessary, but she also knows when to break the rules. Kendrix is practically a perfect Pink Ranger. Kendrix’s time as a Pink Ranger is cut short though when she sacrifices herself to save her predecessor, whose powers were being drained by an enemy. In reality, Valerie Vernon had been diagnosed with leukemia and couldn’t continue filming the show while in treatment. Producers opted to keep her name in the credits to pay her medical expenses, but the show lost a great Power Ranger in the process - though Kendrix did return at the end of the season, much to the audience’s delight. The successor to Katherine Hillard, and the only Pink Ranger to appear in more than one team other than Kat, Cassie Chan (Patricia Ja Lee) made her debut right before the changing of the guard in Power Rangers Turbo. Though Kat was well into her Pink Ranger stint, Kat was overtaken by monsters and it was Cassie, however reluctantly, who came to her aid with a future Red Ranger. Cassie, with no special powers or abilities helped to fight off a group of monsters so that Kat could get to safety and then wanted to stay with her even after the Power Rangers showed up. Cassie was nearly the opposite of the Pink Rangers that the show had presented when she debuted. Unlike Kimberly and Kat, she wasn’t initially overly girly or overly concerned with what people thought of her. She was extremely cautious, not ready to rush into danger, but she was heading out to Angel Grove on her own to see where life took her. Once she became the Pink Ranger, she was a team player, though she did let herself get distracted by everyday things like starting a band or cute boys once in awhile. Like the rest of her team, she was willing to go into space without her Turbo Ranger abilities to track down a missing Zordon, and then was willing to live in space aboard the Astro Megaship until they could find him. Following her tenure as a Power Ranger, and after Zordon sacrificed himself to rid the galaxy of evil, Cassie also came to the aid of the Lost Galaxy Rangers when their old enemy, the Psycho Rangers, were revived and targeted the new group of Rangers. She even wanted to stay and help the team after Kendrix sacrificed herself to save Cassie’s life, but ultimately, Cassie returned to Earth to work with the team of Power Rangers there. For Indiana Jones meets Power Rangers, Operation Overdrive took the Rangers to the ruins of ancient civilizations all over the world in the quest to stop evil. Luckily for them, they had Rose (Rhoda Montemayor) who knew just about everything about, well, everything. A certified genius, Rose spent much of her life learning all she could, even starting university courses at the age of eight. In addition to being able to build robots, she studied ancient legends, knows Morse code, and knows a thing or two about nuclear robotics (which is not just a field made up for the show). On top of all of that useful knowledge, Rose is also a capable fighter, taking on monsters throughout the series on her own multiple times. Unlike many of the other Pink Rangers, Rose also managed to defeat them, not just stall them until help arrived. 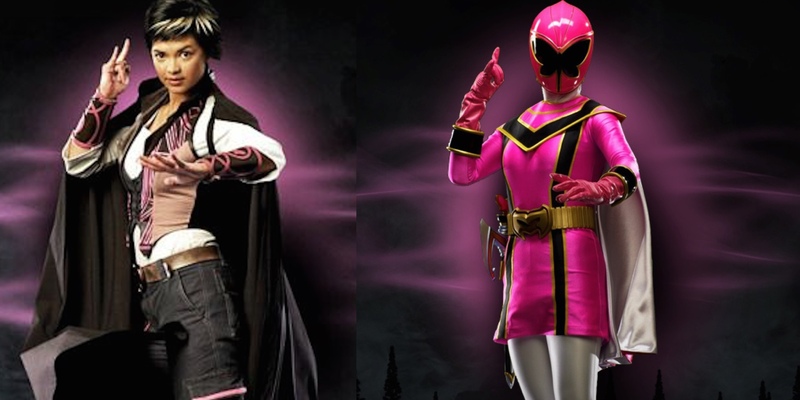 She’s also got a power in her genes - invisibility - making her nearly the best Pink Ranger of all time. So, if Rose is so great, who gets the honor of the number one spot? 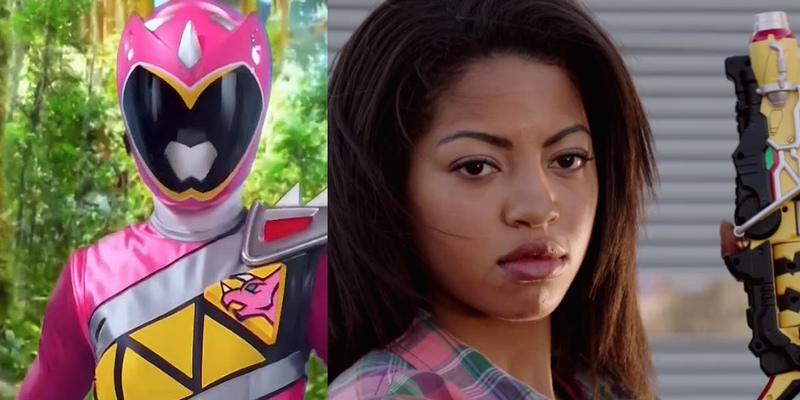 Could there be any other choice for the top Pink Ranger of all time? 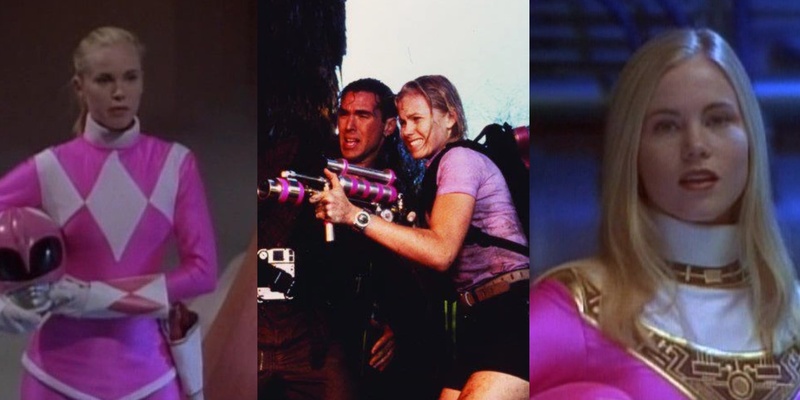 Jen Scotts (Erin Cahill) is the only Pink Ranger in the history of the franchise to lead a team of Rangers. She didn’t just lead them to victory either; she led them to the past as they had to chase their villain through time to save the (present) day. Jen had a pretty rough go of it at the start of the series. While she was the team leader and strategist, her boyfriend was actually the action man on the team. In fact, she almost didn’t make it into the Time Force because of the pressure during training, but he was the one who helped her through it. That Red Ranger was killed in the line of duty, kicking off the events of the series. While her emotional response to his death is to get vengeance, which makes her singularly focused some of the time, it also motivates her to do the right thing for the people of the future, no matter what. Even if that right thing means she might have to sacrifice her own future for the greater good. There’s really no more worthy Pink Ranger for the top spot. What do you think? Do we get the Pink Ranger rankings right? Or were we way off the mark? Let us know in the comments and see how the newest Kimberly Hart will fare when Saban’s Power Rangers lands in theaters on March 24.